When you visit Sydney for your next getaway, we’re granting you total permission to make it all about you. And no one will call you a narcissist, we promise. Embrace a passion, or enjoy a fun-filled activity you never had the time to do at home. Above: Yoga from the Sky at the Sydney Tower Eye observation deck. You know what would make that view from atop Sydney’s tallest landmark really special – staring out at it while perfecting a warrior pose. We love yoga on location, especially when we’re on holidays. Yoga from the sky is a great way to get your mind and body in fighting-fit holiday mode and tick off a must-do on the Sydney visitor experience list. Salutations to a view of the rising sun across the harbour city: we’re there! Wednesdays, 6.45am for a 7am start (45-minute class). Sydney Tower Eye observation deck. This place is magical any day, week, month or year of the century. Be it a walk or a jog through the greenery, a picnic in the park, or nature you’ve come to admire, there’s a sense of enchantment about the place. It’s peaceful, beautiful and has a stunning harbour-side location: need we say more? As well as a casual visit any time you please, the garden offers ample opportunity for budding green thumbs and serious horticulturalists to learn a thing or two about nature. Little wonder then that Sydney has loved its city garden for some 200 years. Learn about the people and plants and the living and built heritage that has made this garden and scientific institution what it is today. Staff and volunteers lead the 1.5-hour journey. If you’re more of a muso than a green thumb, there’s a tour for you too. If you’re not familiar with the conservatorium, this is the kind of place that inspires young hopefuls to practice night and day in the quest to attain a place to study. The hallowed halls are just made for the sounds of beautiful music. Get a behind-the-scenes sneak peek on a one-hour tour before or after a concert performance (during semester). Macquarie Street, opposite the junction with Bridge Street. Wednesdays and Thursdays, 10.30am and 2pm (concert at 12.30pm*), Saturdays, 10am and 1pm (concerts at 11am and 2pm*) *during semester. We love a good duel, especially when a battle of wits is involved. This time it’s the theatre of comedy we’re barracking for. 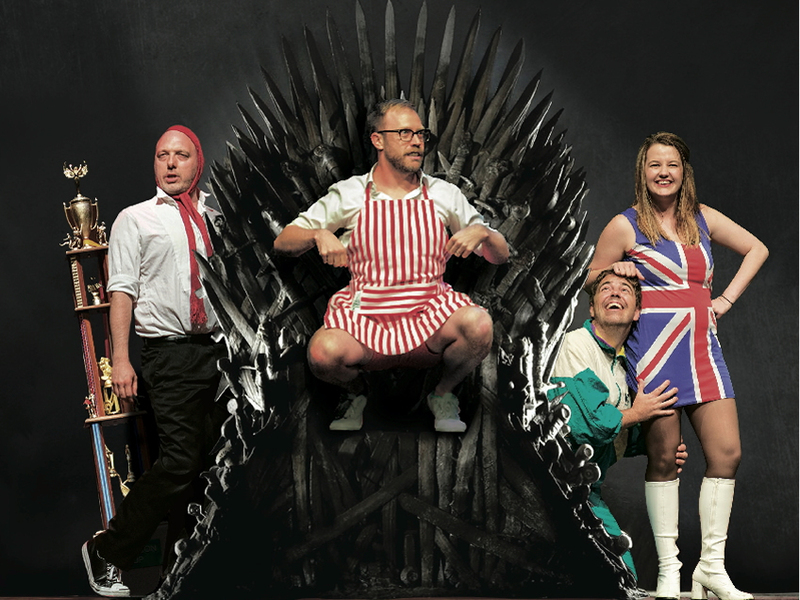 If you haven’t had a chance to catch theatresports before, do yourself a favour and get a ringside seat for the ultimate contest, the Theatresports Cranston Cup grand final. If you’re a returning spectator, you’ll know to be prepared for a side-splitting injury! In this improvised comedy contest, comedians take on sketch challenges with everything from physical restrictions, tongue-twisting challenges and impromptu opera thrown in to the mix … live on stage! Rounds of mind-bending, laugh-out-loud action culminate in grand final night. And like any good sport, crowd participation is encouraged – that includes cheering, booing (of the judges), shouted suggestions, and getting on your feet and going wild when your team scores! If you like your action fast and loud, then you’ll have three days to enjoy the thrill of the best drivers in the business putting pedal to the metal, the sound of V8 supercars at full speed and the smell of tyres testing their limits. The Coates Hire Sydney 500 will be something of a moment in history too, being the last supercars race held at Sydney Olympic Park. As well as watching the ultimate driving contest to see who will be crowned the 2016 Virgin Australia Supercars Champion, there’s trackside action too including stuff for kids. 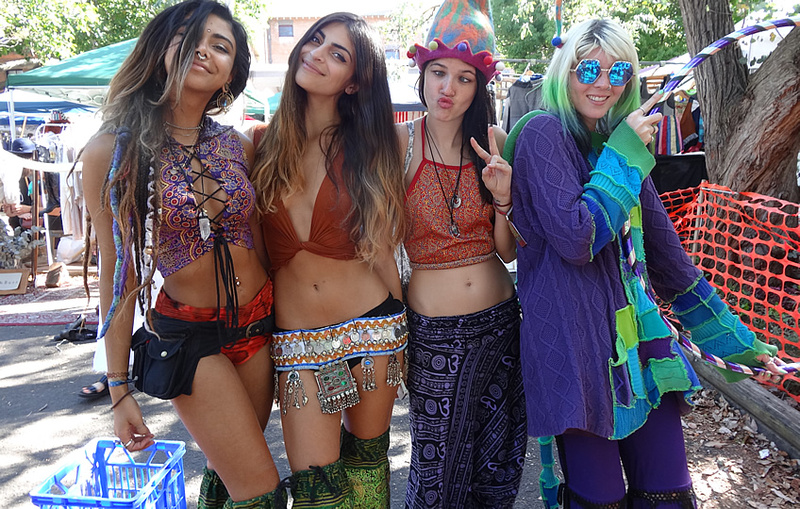 Above: Ladies enjoying Glebe markets. For us, Glebe Markets is one of Sydney’s original and best markets. While these places might be a dime a dozen now, Glebe Markets is a pioneer. It’s long been the place to go of a Saturday to bag an original gem and enjoy a delicious takeaway lunch on the lawn once the shopping is done. We always love rummaging through racks and piles of vintage clothes and admiring the original accessories so artfully displayed. You’ll also find books and music, including live entertainment, and much more. In the grounds of Glebe Public School, corner of Derby Place and Glebe Point Road. Know an experience to help city visitors explore their “inner you”? Tell us in the comments section below.